GET GOLD CLUB SUB TODAY TO SEE ALL OF OUR EXCLUSIVE STATEWIDE CONTENT! $3.99 FOR ONE MONTH! 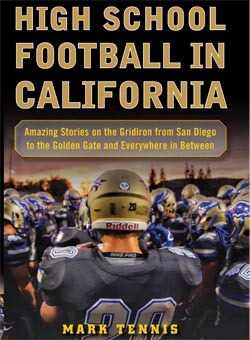 Cal-Hi Sports is the only source for California state records. For Football Records, CLICK HERE. For Coaching Records, CLICK HERE. For archived final state rankings, CLICK HERE. For school-by-school football scores, CLICK HERE. A Cal-Hi Sports Gold Club Membership includes exclusive, one-of-a-kind California high school content that you can’t get on any other website or network. No one from any recruiting network or service that charges for this type of material has evaluated more of California’s top players in the last 35 years than us. Still available for 2017-18 school year in football, boys bb, girls bb, baseball & softball and comes with certificate. ORDER HERE!